esbs has bid a fond farewell to its longest-serving member of staff, who has retired after four decades with the organisation. Accounts Administrator and Personal Assistant Jennie Shaw, 63, recently ended her near 43-year tenure with the Society. A native of Earl Shilton, Jennie commenced with the Society in May 1976 as a cashier and typist after a family friend spotted the job advertisement and recommended that she apply for the role. “I was working for the TSB when I first heard about the position with esbs, and the opportunity appealed to me as I was keen to work for a smaller concern,” she explains. “When I first started, I was working alone at the Barwell branch without any bandit screens, and everything was done manually rather than being inputted into a computer system. “At the time, the Society only employed 10 people, including a resident surveyor. The team has continued to grow and it is now more than 30 strong. Over the years, Jennie has also had involvement in generating direct mortgage business and back office investments, before she settled on her most recent position as an Accounts Administrator and Personal Assistant. “esbs has been a fantastic place to work, and very ideal for my circumstances as a resident of the town,” Jennie continues. “All of the 143 staff members with whom I’ve worked have been very nice, and the Society is a mutual that looks after its staff by providing free non-alcoholic drinks, a weekly delivery of fruit and a uniform. Among her highlights, Jennie lists the Society celebrating its 150th and 160th anniversaries in 2007 and 2017 respectively, taking part in 40 different AGMs, attending social events, such as day trips to Leicester Racecourse, and marking 25, 35 and 40 years of service. “I will miss all the staff and our little chats together,” adds Jennie, “but as a member I will continue to call into the office for a visit. “I’m looking forward to enjoying some relaxation in retirement, as well as spending time with my grandsons, family and friends. 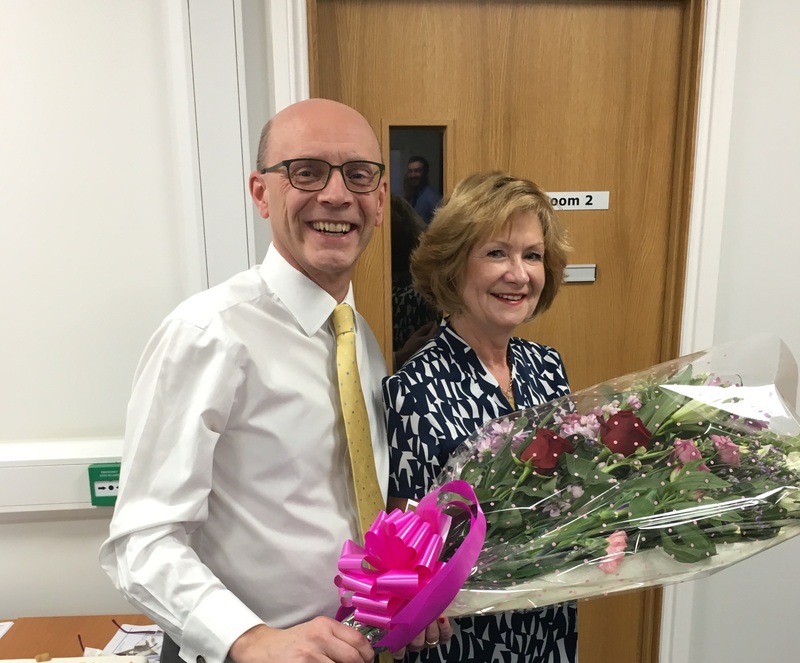 Paul Tilley, Chief Executive of esbs, said: “Jennie has been an integral part of esbs for the past four decades and her positive attitude, unwavering loyalty and dedication to her work will be sorely missed by us all.